Most that know me, already know that in addition to building long range rifles, I like to participate in long range shooting competitions. I’m not sure what toots my horn more, the complex mathematical computations involved at making shots close to a mile away, the calm and smooth charisma it takes to run a rifle at those distances, or just the precision (expensive) hardware being used. But I do know that there aren’t many things I enjoy more. 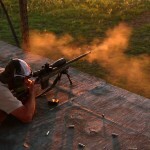 Last weekend I had the opportunity to compete in the Tiger Valley Low Light Sniper Match in Waco TX. 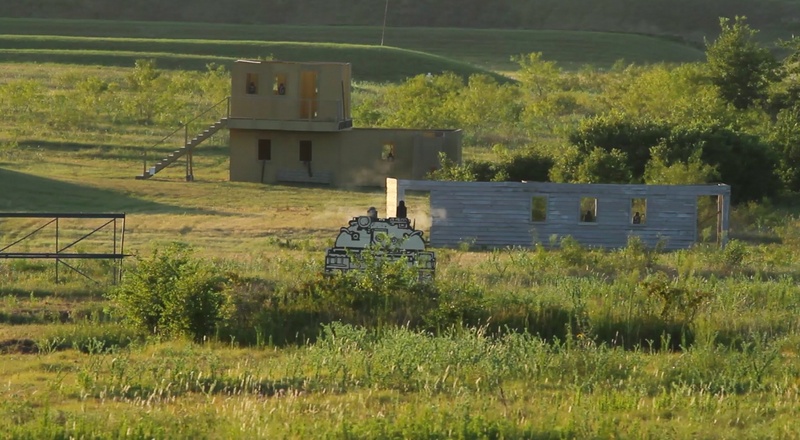 I’ve been to Tiger Valley many times, for many matches and training courses, but this was the first time we were officially competing after the sun went down. Anyone who has ever ran a rifle in the dark knows two things. 1. Everything is harder to see, and 2. Distances seem much farther in the dark. A very experienced gentleman once told me “Lights down, Sights down”. Meaning if you are shooting after dark, and you are uncertain of your distance, aim a little low. 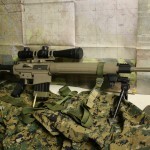 For this particular match, I decided to evaluate two very different rifles to gauge their effectiveness in low light scenarios. Each rifle has a specific set of strengths and weaknesses. They are listed below. Leupold Mark4 LRT 3-10×40 w/ illuminated duplex reticle. 24” barrel equipped with Gemtech Sandstorm silencer. 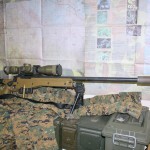 The bolt action Remington 700 rifle has long been the workhorse sniper rifle for the US military. However, our recent engagements in urban settings, yielding multiple target rich environments, have cause a rise in demand for fast operating, semi automatic rifles capable of being used in a sniper role. The need to eliminate multiple targets rapidly, higher magazine capacity, faster reloads, and the ability to be used in an assault role, has outweighed the minor difference in accuracy between bolt action and semi-automatic precision rifles. 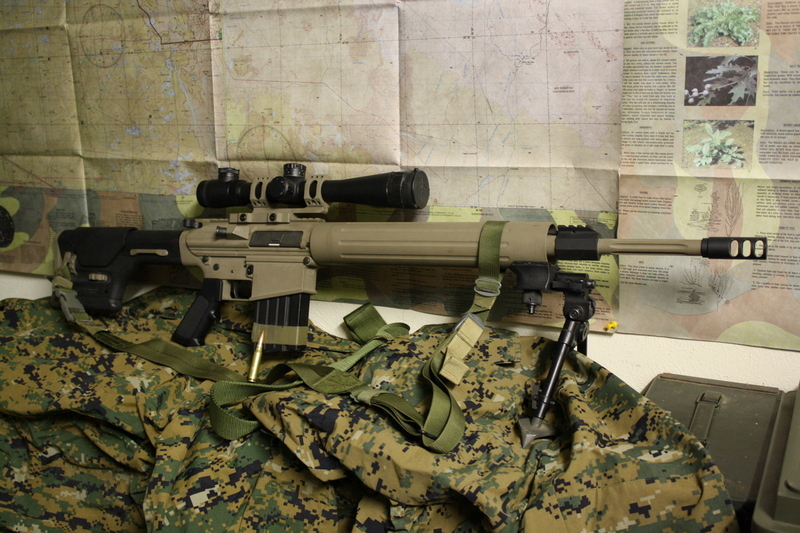 Enter the M110 SASS rifle. 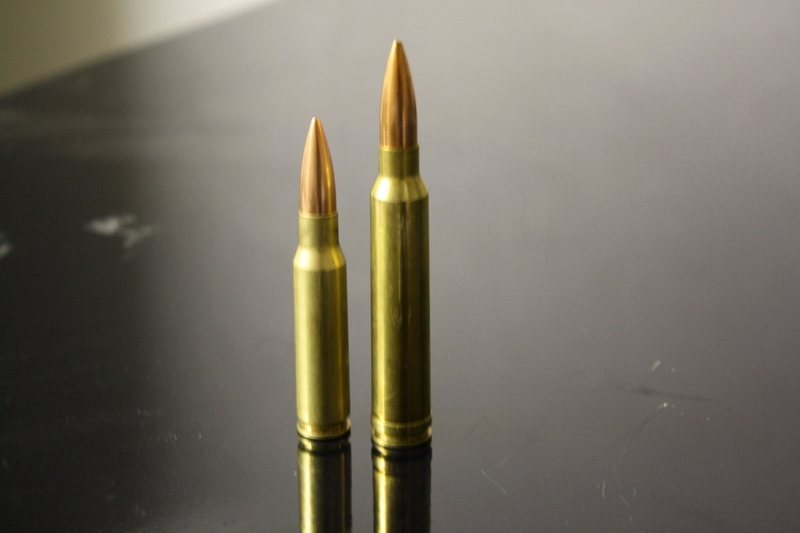 An autoloading .308 Winchester rifle based on the time proven AR-10 rifle design. The design being semi-automatic and gas operated has caused them to become referred to as “gas guns” in the long range shooting community. The bolt action I was using had several features that set it above the Gas Gun. First, its caliber. 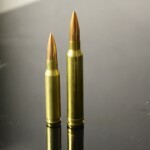 The 300 Winchester Magnum is ballistically superior to the .308 Winchester and its rainbow flight path. Secondly, the bolt gun was equipped with a scope costing roughly 3x more than the gas gun. US Optics really makes a fantastic scope. However, it is slower to operate, and cannot hold as many rounds as the gas gun. The bolt gun is also slightly more precise, due to the design of the rifle. 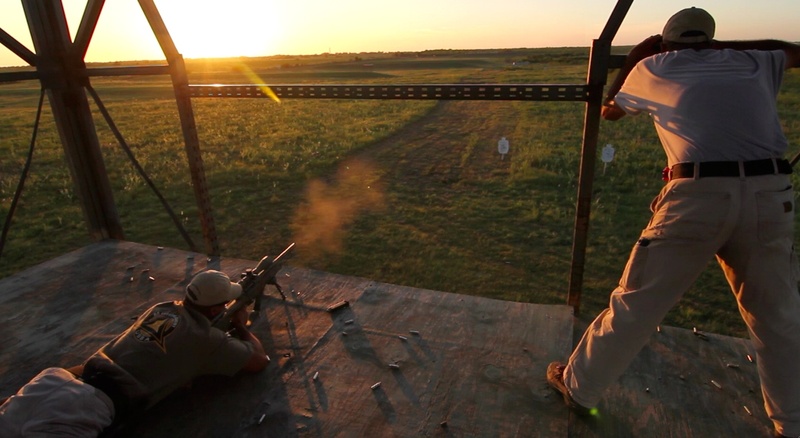 The Match: Now that I have laid the groundwork for the hardware being used, I will discuss the layout of the match, and the various performance of each rifle. For the sake of time, I will only discuss the stage shot from the 2nd floor of the tower, and the stage where we had to engage moving targets at distance. Stage 1: Low Light. You were tasked with providing overwatch for a convoy passing through your area. You received radio communication that there were 8 targets spotted in your area of responsibility. Using a range card left from the previous sniper, you had to locate all 8 targets and eliminate them with your rifle. The targets were torso shaped steel plates that fell over when hit. Two were located at ~330 meters, one at ~360 meters, two at ~480 meters, and three more at ~580 meters. Obviously the stage was timed and the timer stopped once you had eliminated all 8 targets. Stage 1 Performance: The bolt gun had its advantage in the fact that I had very little adjustment to make as I changed targets. The change in bullet drop between 330 meters and 580 meters using the 300 win mag is significantly less than the 308. Meaning that if I made a minor mistake in my range estimation, or my bullet drop calculation, I would probably still hit the target. And I did. However, because my magazine only held 5 rounds, I had to reload before I had eliminated all 8 targets. I actually had to reload twice, as I missed a few on the first shot. The gas gun really preformed in this situation. 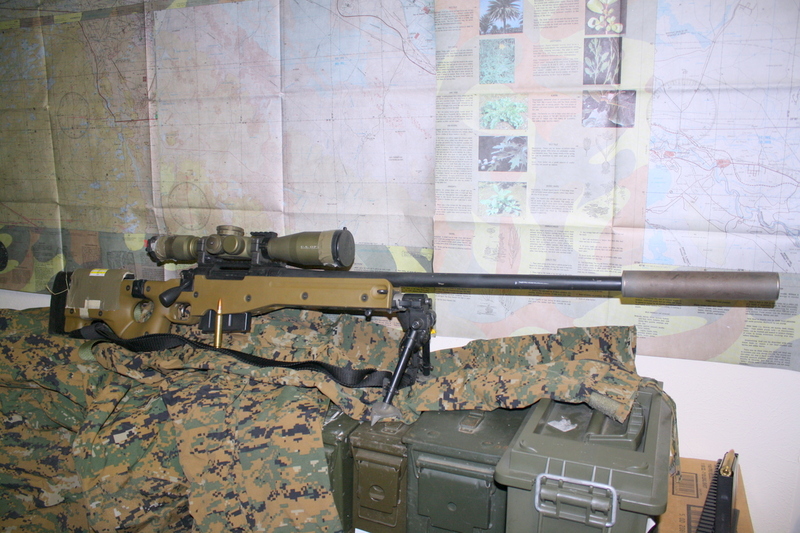 Although the optics were not as good (but still equal to what our snipers are using), the 20 rnd capacity of the rifle allowed me to eliminate all 8 targets without reloading, spending more time killing bad guys and less time messing with my rifle. Because the gas gun was autoloading, I was also able to fire a round every time I pulled the trigger, with no other motion required. Unlike the bolt action which had to be manipulated each time to load a new round into the chamber. Even with more time being required to manipulate my scope for the different range targets, the gas gun was still faster. In summary, the gas gun eliminated all 8 targets faster. Win= gas gun. Stage 2: This time we had to wait until it was completely dark. Were proned out and presented with various moving man-sized target in which you had to engage. The match announcement said that the maximum range for this competition would be only 600 yards. But I knew the facility was setup to shoot to 1,000 yards. Knowing how evil the range operator (TJ Piling) can be, I decided to “bring enough gun” just in case. 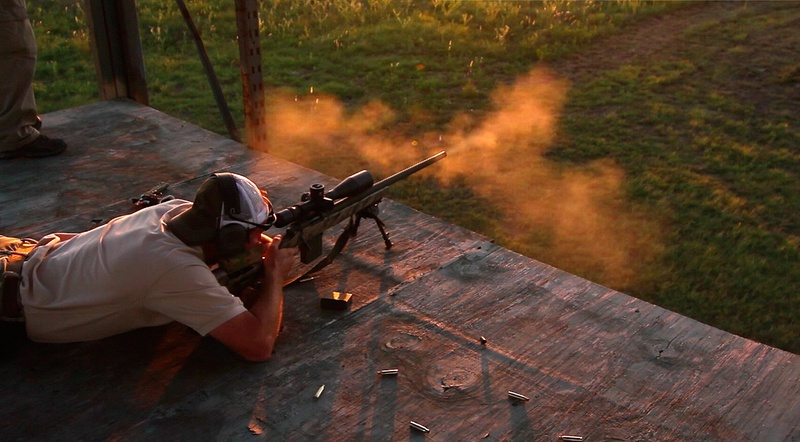 Many shooters only brought .223 rifles, which generally aren’t much effective beyond 600 yards. I had hedged my bet correctly. After it got dark, TJ told us to meet up at the 800 yard line. There were quite a few confused looks from the shooters. Well, that’s what happens in real life. You can never really be sure of anything, and since I am an Eagle Scout, I rely on the scout motto. “Be Prepared”. I also choose to equip my rifle with a MUM-14 night vision scope. Call it cheating if you want, but I would use it real life, so I think thats fair game here. 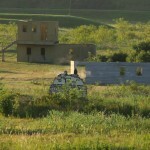 As the targets came up, many could not even read the numbers painted on the man sized targets, as illumination was minimal. We were only allowed to shoot 4 times and our targets only were shown for 10 seconds. Once again, this is 800 yards. That’s 8, yes EIGHT football fields, end to end. 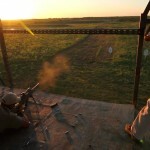 As before, my ability to fire rapidly without taking my eyes off the target or finger off the trigger helped me place my rounds downrange faster and more accurate than when using a bolt action. Many shooters were not even able to send 4 rounds during that 10 second exposure. It takes a while to get setup, and aim, hold your breath, wait for an opening, fire, gauge your hit status, work the bolt, then repeat that drill 3 more times, in 10 seconds. When the scores came up, I gave my target numbers to one of the men operating the targets and asked how I did. He said almost everyone missed at 800 in the dark. Except for me, who scored 4 out of 4 hits. Maybe I was lucky, Maybe my gear and training was spot on. I really think my ability to spend more time aiming, watching the target move, and picking the best time to squeeze off, helped me be more successful in my shot placement. More time spend shooting, and less time spend working the rifle. In summary, the gas gun beat the bolt gun once again. As usual, I had a great time at Tiger Valley, I enjoyed shooting the match, and I enjoyed the fact that I saw some Atwell Tactical built rifles being used by some of the competitors. Its always a good feeling to see your craftsmanship out in the field and preforming as designed. I would like to thank Callaway Photography for “shooting” the event and allowing me to use their professional photographs in this blog entry. I didnt have time to take a video for this particular match, but here is one from a previous match I enjoyed.